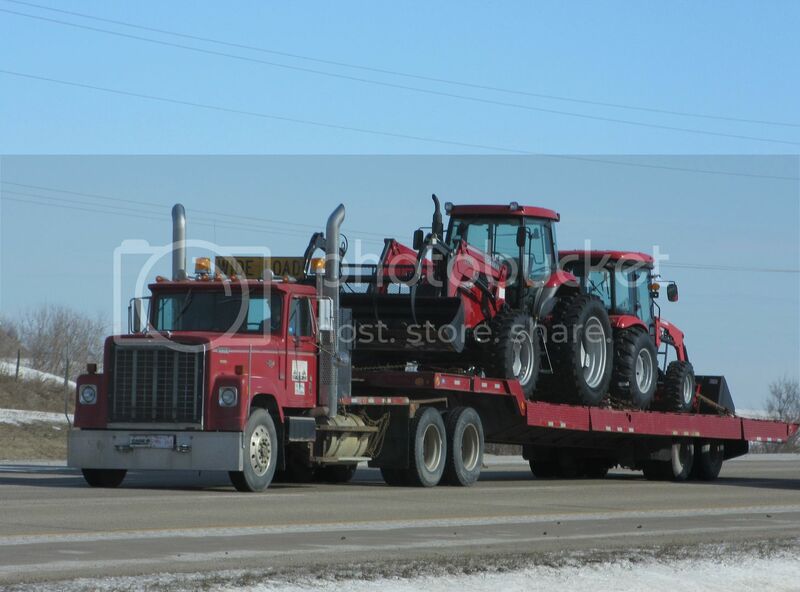 An old International hauling a couple new Case tractors. Just came across this it looks the part great shot RobG. Bob.